Fog rolling in from The Wash, Sluice Road, Sutton Bridge, Lincolnshire. 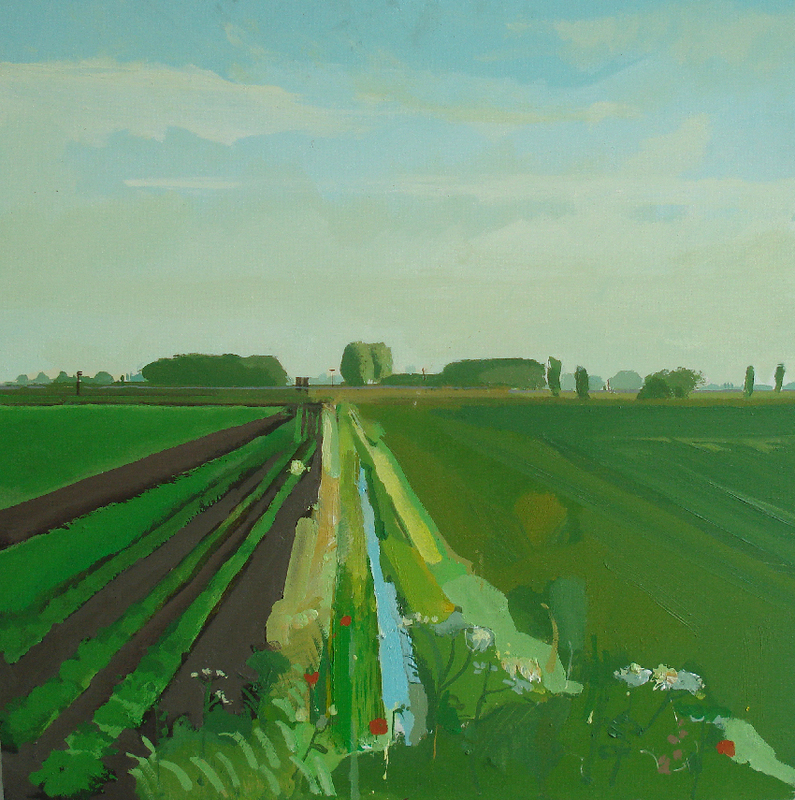 Ditch next to Sedge Fen Road II – winter sunshine rain coming, Nov 2014. Harvest, Hale Fen, Cambridgeshire Fens. Ditch next to Sedge Fen Road - winter sunlight, rain coming. Ditch leading to pump house on the River Lark, Fodder Fen Drove, Aug 2014. Harvest, Hale Fen, Littleport, Cambridgeshire Fens. Reeds in flower - rain coming. Methwold Fen in the Spring, rain coming. Acrylic & enamel on paper 1987.